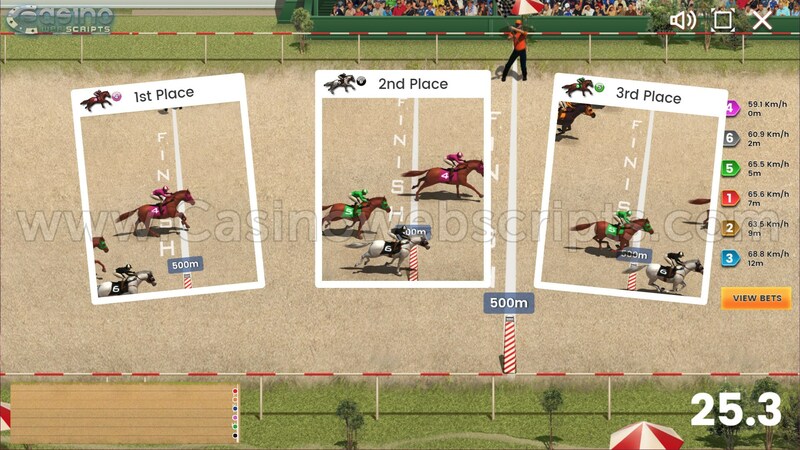 Watch one of the most beautiful competitions in the world, dating from time the ancient Rome, when these games filled the joy of the roman empire. Each horse is rode by a jockey and the first racer crossing the finish line, wins the race. 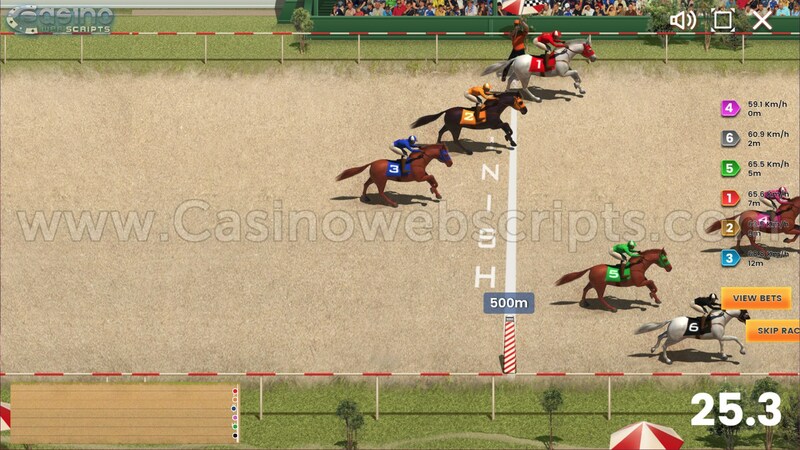 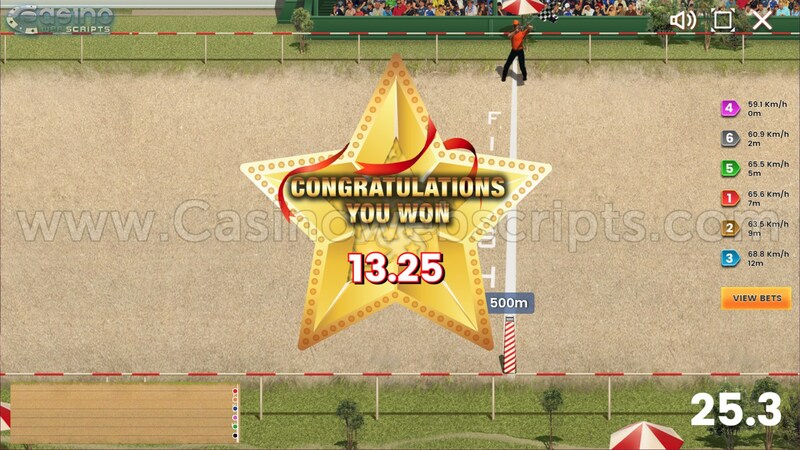 The game features a multiplier reward, which when collected will multiply all the winnings paid by the horse that took the horse-shoe. 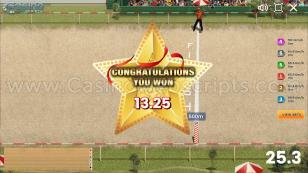 Select the coin value, by clicking on a chip on the top of the screen. 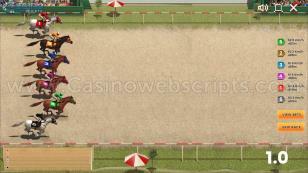 Then place your bets on your favorite horses. If you select the X chip and you click on a bet area, then the clicked bet area will have the bet value set to 0.00 CREDITS. 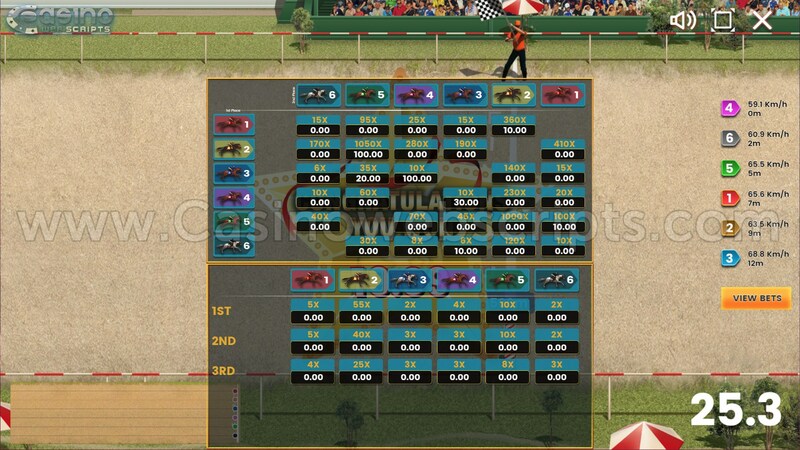 Combined bets are available (if you want to place a combined bet that horse1 will finish 2nd and horse3 will finish 1st, then you must place bet on row3, column1 ). 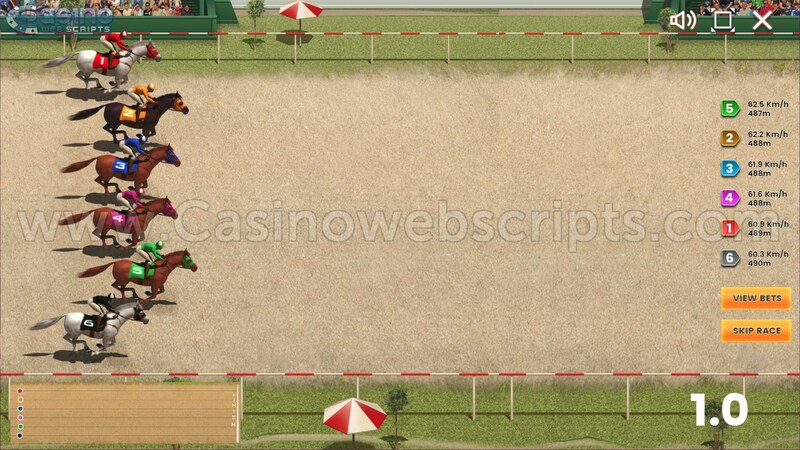 The row determines the 1st place, while the column the 2nd place, from combined bets areas. 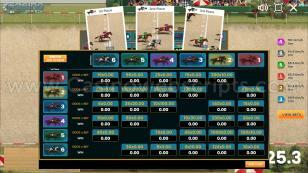 After finishing placing your bets, you can go and watch the race. EXACTA - In this game mode, you will have to guess the podium in the exact order of selection. 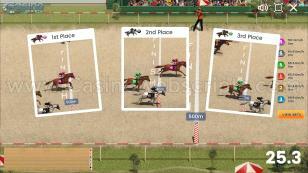 If you bet on 3-5 and the podium is 3-5-x you win, but if the podium is 5-3-x, you lose. If you click again on the SWITCH BET SCREEN button, you will be taken back to the Combined bets screen. 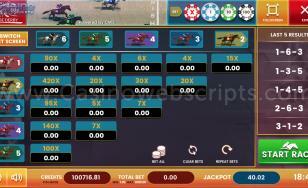 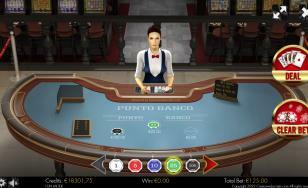 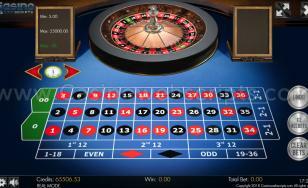 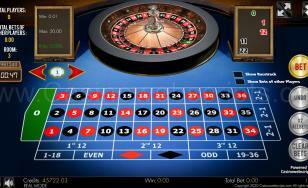 The Jackpot is distributed randomly to any player participating in the game. 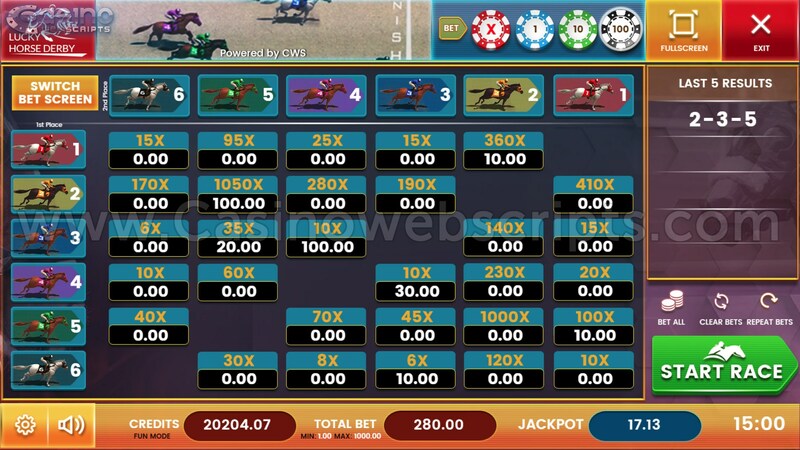 The bigger the total bet, the higher the chances to win the jackpot. 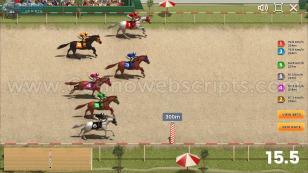 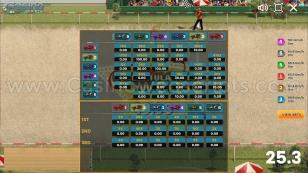 If a multiplier was found during the race, then all the wins of the player will be multiplied by that amount. 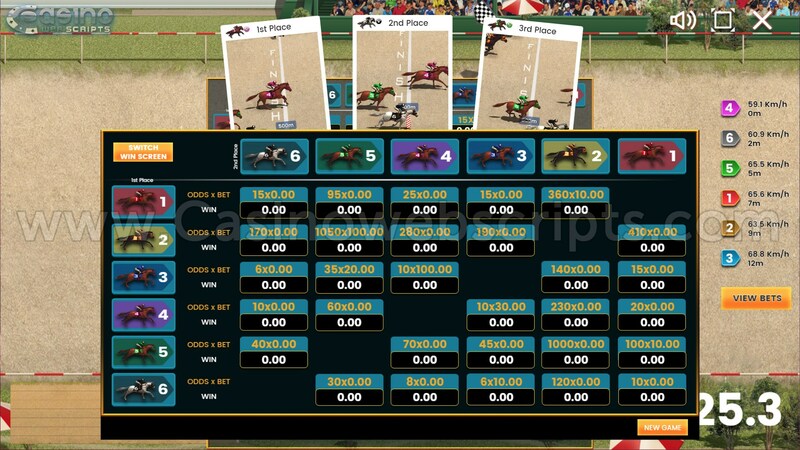 REPEAT BETS - if you click on this button, then the last validated bets (bets are considered validated if a race was started with those bets) will be placed once again on all the bet areas, including combined bets areas and podium bets areas.